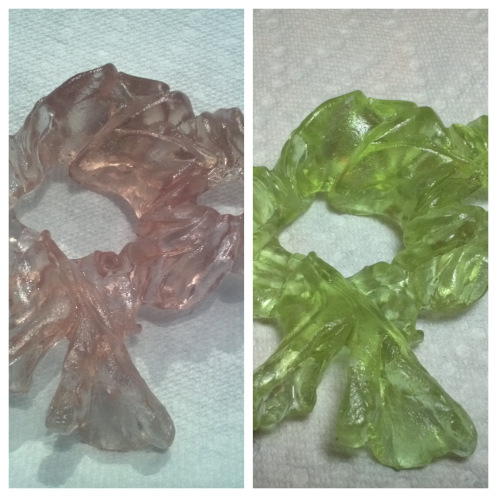 Pate de Verre • Lost wax casting with glass • Intensive metal + glass courses! Please scroll down for workshop options. Happy almost summer! 4 Sessions: Saturday afternoons noon – 5:30/6pm, May 30th start-up or Fall course starts September 26– 5 Student max., 3 student min. $585 includes all materials. This course is perfect for people looking to turn non-glass items into glass. 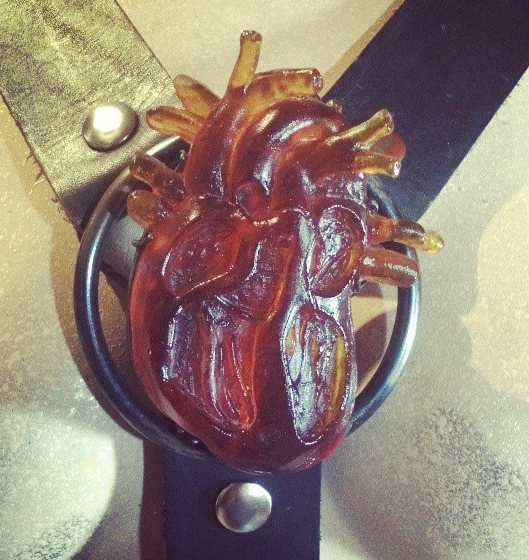 Using the lost wax casting process and Pate de Verre, this course covers various mould making techniques. Adding metal and clay inclusions. Packing moulds with glass, casting and annealing cycles, working with alginate and silicone moulds to replicate pieces. 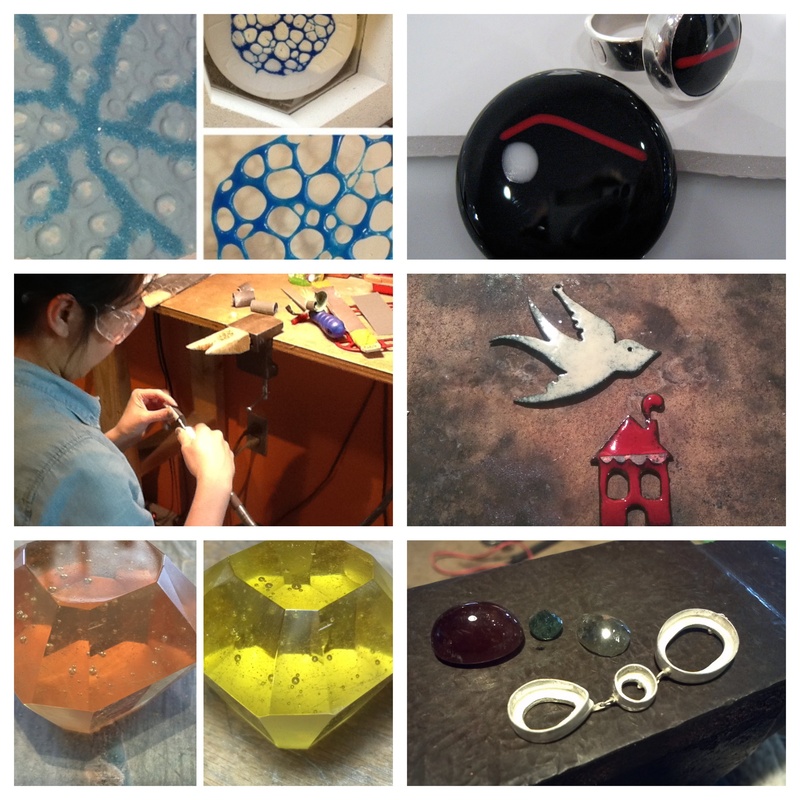 Participants will learn how to hand finish pieces; to grind, sand, and cut glass. Participants in this class will create beautiful and original sculptures, while learning the infinite possibilities of casting and Pate de Verre. All materials included. No experience necessary! Casting: Learn how to cast your own designs using the Lost Wax Casting process with centrifugal casting equipment. 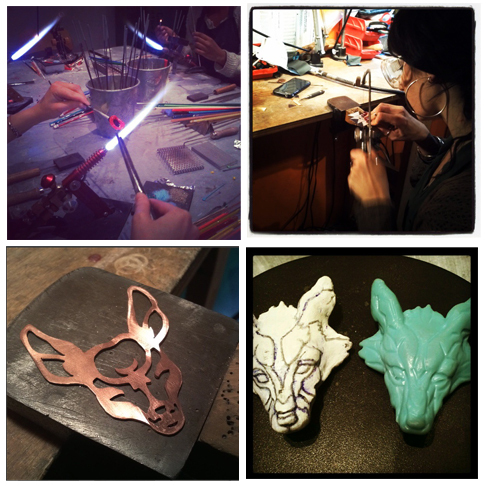 Participants set up their own moulds and are lead through the entire process. Cast stones in place! Cold connections: Learn various methods of setting stones without a soldering torch. Fold forming: Learn how to fold form copper. Working with Charles Lewton-Brain’s techniques and research participants will learn via hands-on hammering (!!) 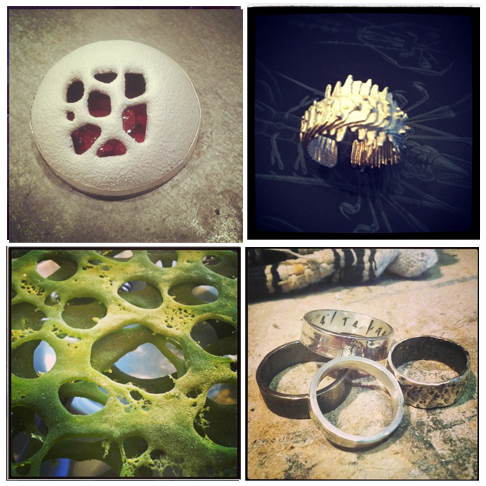 various fold-forming methods. $475 includes all materials, selection of stones and fossils for setting, wax, saw blades, glass, and more!